Duluth’s earliest African American residents were also part Ojibwe. In the 1850s, seven of Duluth’s eleven African American residents were members of the George Bonga family. 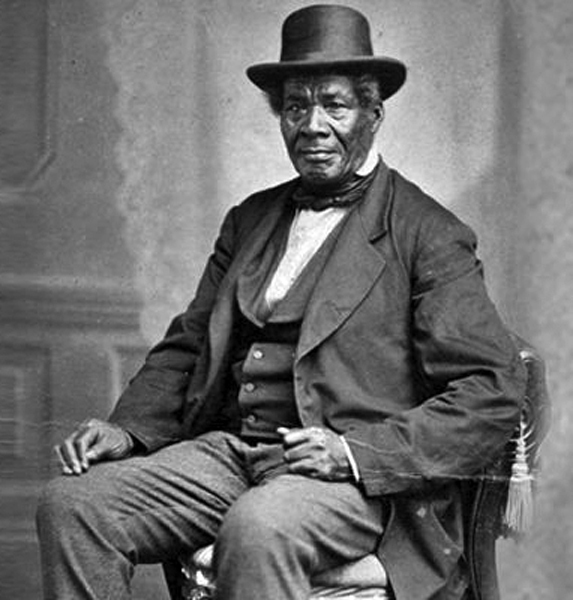 Bonga was the son of Pierre Bonga, a free Black fur trader, and his Ojibwe wife. Bonga, who legend says was born on Minnesota Point in either 1799 or 1802, also became a fur trader. (Ironically, Bonga called himself the “first white man born” at the head of the lakes.) In the 1870s there were just twenty-two Blacks in all of St. Louis County, and each one lived in Duluth; nearly every African American lived in The Glenn or on Rice’s Point. That number grew slowly. In the 1880s most of Duluth’s African Americans lived in the Central Hillside, establishing St. Mark’s African Methodist Church at 530 North Fifth Avenue East in 1890 when just 220 people of African descent lived in the Zenith City. In those early decades most worked as porters, waiters, messengers, janitors, and valets. One, Alexander Miles, was considered the richest Black man in the region. At the turn of the century, less than 400 Blacks lived in Duluth. Duluth’s Black population was bolstered after U.S. Steel opened. In 1916 U.S. Steel recruited a number of Blacks from southern states who would work for less pay than laborers in Duluth. Like the Southern Serbs, they lived in substandard housing in Gary, not in Morgan Park. Despite the recruitment, Duluth’s Black population failed to grow. Researchers have speculated that this is likely due in part to an increased anti-Black sentiment in the U.S. following World War I, which led to the lynching of three innocent Black men in Duluth in 1920. Many of Duluth’s established Black families left after the tragedy. By 1940, the population had dropped to 314. The 2010 census reported 1,988 Blacks living in Duluth. Together, Blacks and Native Americans make up just under 5 percent of Duluth’s current population. Roughly 1,800 Duluthians (just over 2 percent) consider themselves mixed race of white and either African or Native American ancestry.